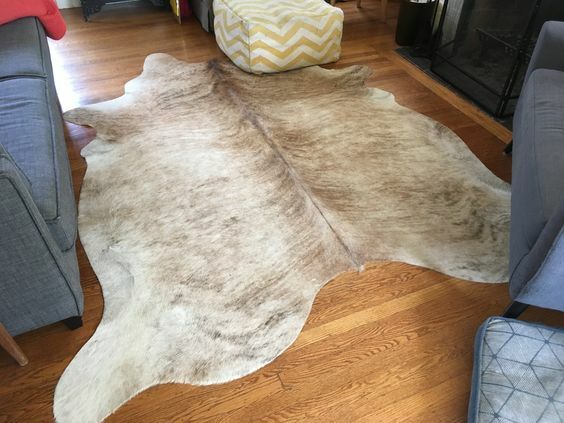 You will receive the cowhide rug shown in the pictures. All brown white cowhide rugs are free shipping all over Canada and USA. At your doorsteps within one to four business days. These cowhides are premium Brazilian, chromium tanned, European breed, very soft and smooth hair on and back finished to suede. These cowhides are also great for all kinds of upholstery projects ranging from car seat covers to bar stools. If you are looking to turn your space into a rodeo style room, adding brown and white cowhide rug to your room will give it a western feeling. Each cow hide rug is hand-picked for unique and exotic patterns. These western cowhides are real and natural, there is no hair shedding or smell. Chromium tanned and hypoallergenic, amazing for high traffic area. These are one of the best quality hide rugs available anywhere.